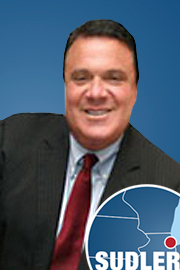 Steven Levy is a Principal and President of Sudler Property Management. He joined the firm in 1996, and purchased the company with an investor in 2002. While still in college, Steven joined Patriot Bank of Boston (now Bank of America) as a Credit Officer and was quickly promoted to Loan Officer of the $2.4 billion lending institution. He would ultimately be elevated to Executive Vice President and Chief Lending Officer, responsible for commercial lending, bank acquisitions, and property disposition. Concurrently, during his 15 years at the bank, he also taught courses in Financial Accounting and Business Organization to undergraduates at Northeastern University. Steven is a Licensed Insurance Producer in the State of Illinois. He has earned the Professional Community Association Manager (PCAM) designation and is a Certified Manager of Community Associations (CMCA). He is recognized as an Association Management Specialist (AMS), having been qualified by the National Board of Certification for Community Association Manager, and holds the Illinois Community Association Manager (CAM) License. He earned a Bachelor of Science in Business Administration Degree from Boston University and an MBA from Northeastern University in Boston. One of the goals Steven set out for himself when he moved to Chicago was to find a great Chinese restaurant. Twenty-two years later, he has yet to achieve that goal.